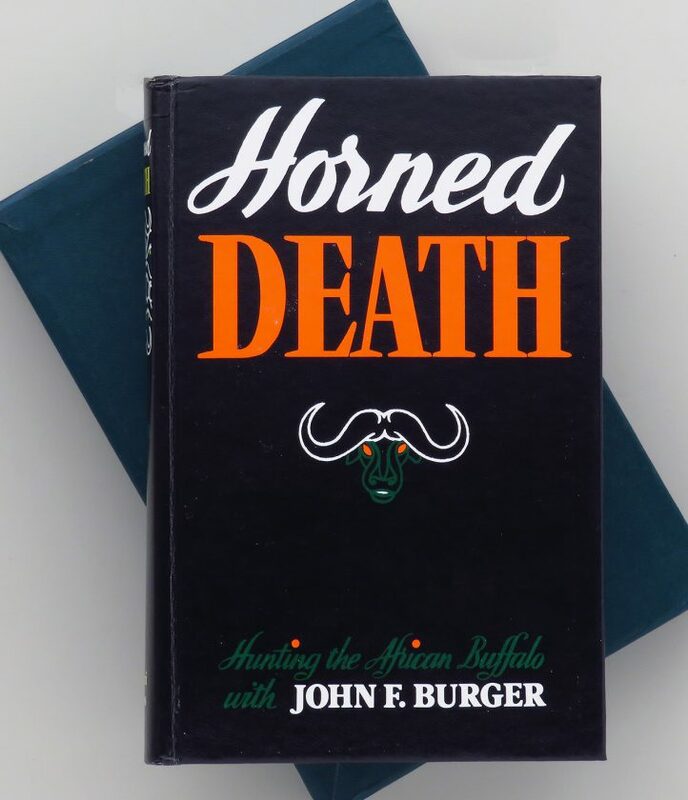 Horned Death by Burger, 1986, numbered limited edition, slip, Cape buffalo, excellent - Sportsman's Legacy, Fine firearms, related books and sporting collectibles. Representing estates, collectors and nonprofit conservation organizations. Horned Death – Hunting the African Buffalo by John Burger. Published by Safari Press in 1986 as a limited edition, this copy being 433/1000, it remains in exceptional condition with the original purchaser’s gift inscription appearing on the inside front cover. The slip is also in excellent condition. The price is firm. $125 plus media mail.